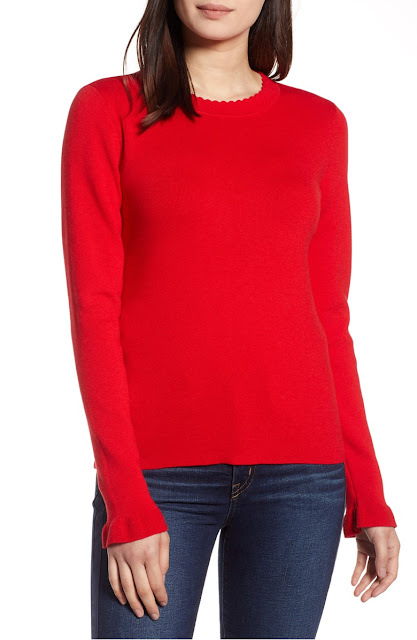 What I Would Buy At The Nordstrom's Sale! I don't consider myself a fashion blogger at all, but I do consider my self a woman that loves clothes so I guess that can count for something. Everyone in the fashion blog world is all excited about the Nordstrom Sale! I saw many blog post by shall we say, (clearing my throat here) younger women. Several I would say aligned with my style somewhat but not really. I just don't get that excited about a cardigan sweater, or a baggy sweatshirt or a torn pair of jeans. When I think of a sale at Nordstroms I think of possibly bigger ticket items or items that have a timeless appeal. 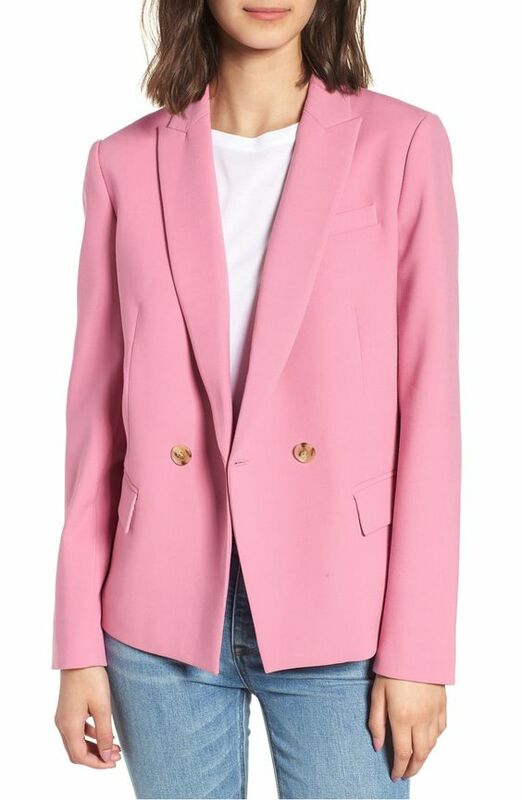 Pink is a color I love to wear and get compliments when I do so to have this blazer would be a good purchase for my wardrobe. 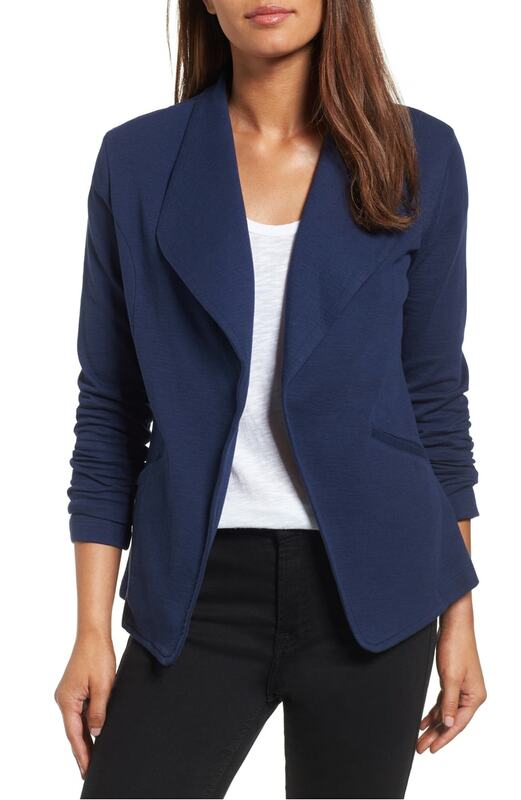 Love the cut and the button details. It's just a pretty classic piece,dress up or down. I would be wearing it with jeans and love the lighter wash that is pictured here. This is a beautiful feminine blouse with lovely details and it comes in a beautiful array of colors. I love this pink and also the red. It's a dress up or down kind of blouse depending on what you put with it. 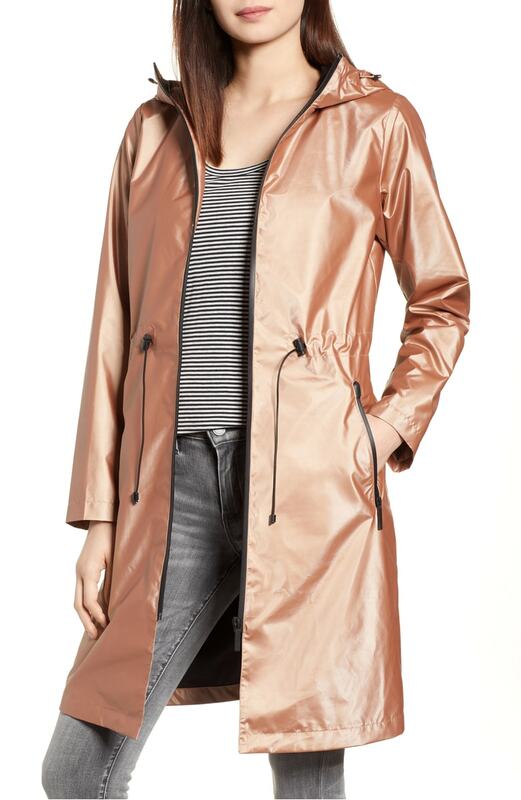 This next rain coat really caught my eye. It's a little flashy with it's metallic finish and I love that for a rain coat! It's considered pink, but it looks more like a rose gold to me. I LOVE this jacket!! I love anything knit especially for traveling and this cute little throw on jacket would fit the bill for me. 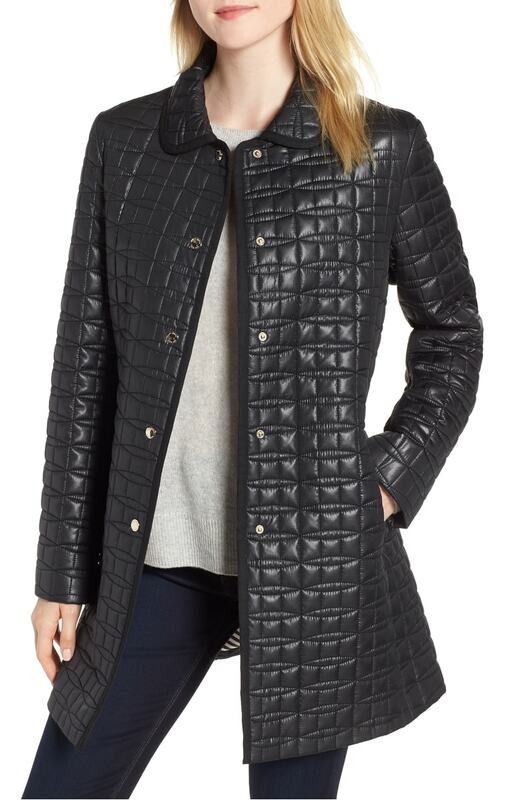 This darling quilted coat could be my one big purchase. I absolutely adore this coat and I really kinda want it, badly. Would someone tell Dougie please!? Halogen Scallop trim ruffle sleeve Sweater. I literally had 7 other items chosen to show you that I found this afternoon and by 7:00 this evening they are already sold out. 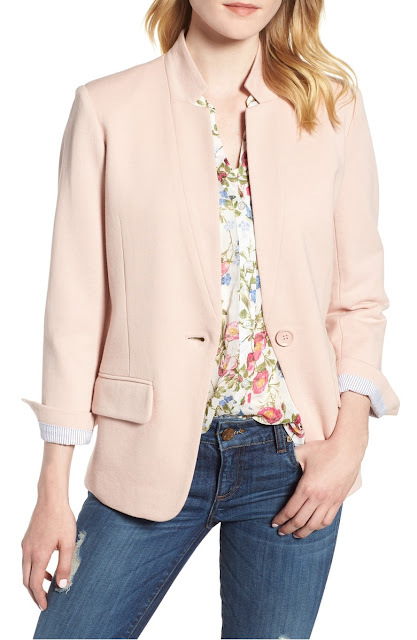 Wow, that makes me a bit nervous about my coat, I mean the Kate Spade coat at Nordstroms. All and all I can't say I was overly impressed with the offerings, but there are definitely deals to be found. 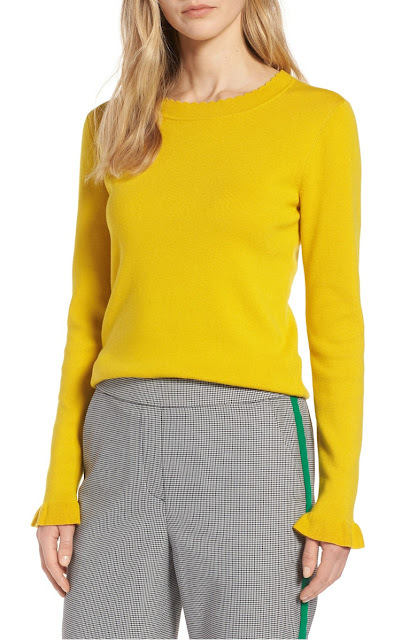 I think it is wise to buy good staples that you might need and leave the t-shirts and baggy sweatshirts and cardigans for a close out sale, but that is just the way I think.